CodeBison Games: FPS Mesh Tool Released! I've just released my first asset on the Unity Asset Store. FPS Mesh Tool is a tool I made for my own use in converting character models for use in FPS projects. 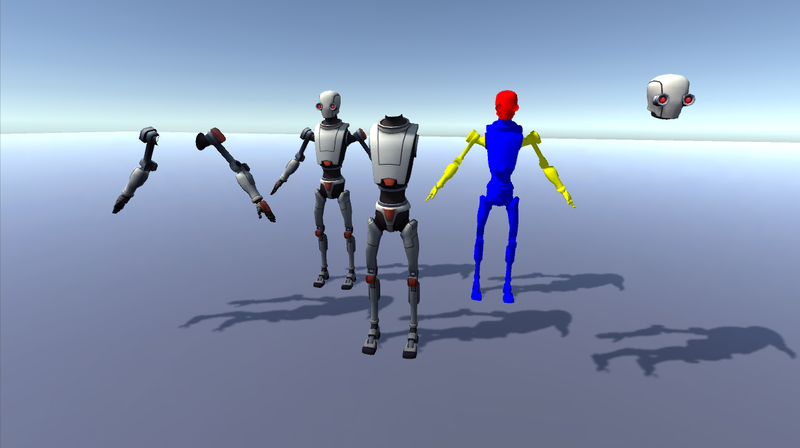 It splits up skinned meshes to allow easy material changes on the head, body, and arms. This makes it trivial to do things like turn the head and/or body invisible when switching to first-person mode. Read more here. Copyright © 2013 CodeBison Games. Picture Window theme. Powered by Blogger.